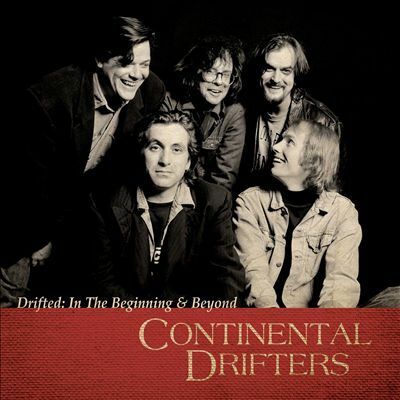 "a refreshingly unpretentious blend of rock, soul and country, wide ranging yet surprisingly... coherent...Continental Drifters has a family, shared feel, not unlike early records by The Band." Vermilion is not only a great album, it is the kind of rock 'n' roll album rarely made anymore, the product of a collective vision..."
"On Better Day, the Drifters finally meld their personalities and creative instincts into a sum greater than its parts." Listen Listen sets forth the unbeatable combination of the Continental Drifters and the music of Sandy Denny and Richard Thompson. An inspiring effort, Listen Listen captures the spirit of folk-rock and will please both Drifter and Fairport fans. DRIFTED: IN THE BEGINNING & BEYOND - "Pick up this 2-CD set and let it become part of your soul and your consciousness. 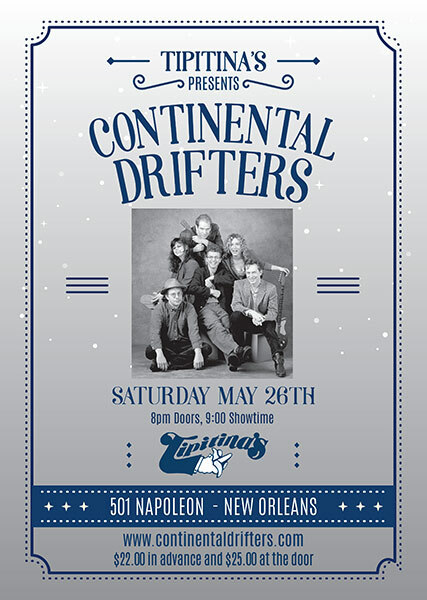 And tell me later on how you think The Continental Drifters are one of the best things you’ve ever heard and praise the skies for them having given us something as fine as this musical tonic for the soul."